The Case Erectors form cases, cartons and boxes which are then ready for product filling. The ELVS11 is an innovative, high performance carton/case erector and sealer. 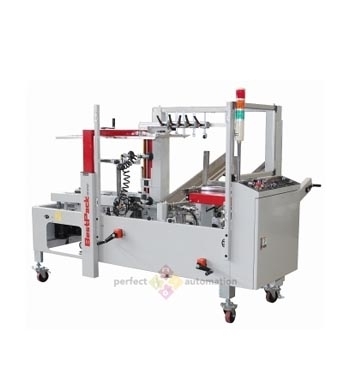 This Carton/Case Erector is designed and built to accommodate heavy usage with quick and simple carton size changeovers. The adjustments for the hopper width and carton dimensions are done with easy adjusting screw drives. The first three screw drive adjustments include counters for easy reference. There are no tools required for carton size changeover. 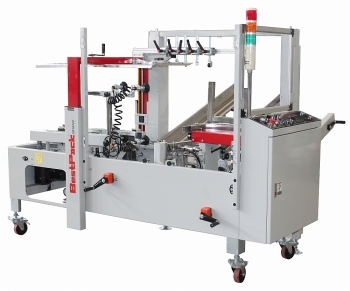 The ELVS22-2 is an innovative, high performance carton/case erector and sealer. 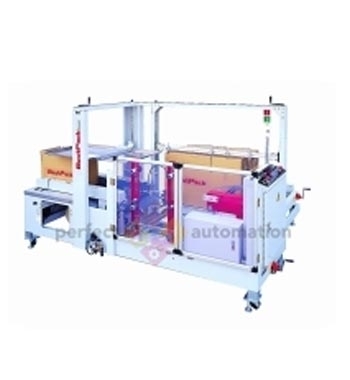 This Carton/Case Erector is designed and built to accommodate heavy usage with quick and simple carton size changeovers. The adjustments for the hopper width and carton dimensions are done with easy adjusting screw drives. The first three screw drive adjustments include counters for easy reference. There are no tools required for carton size changeover.